Be the first to share your favorite memory, photo or story of Trixie. This memorial page is dedicated for family, friends and future generations to celebrate the life of their loved one. She was preceded in death by her husbands; Ed Mason & Roy Glasco, her children; Lynn Mason, June Ivey, & Bruce Mason, and her brothers, Jack Jones & Jim Jones. 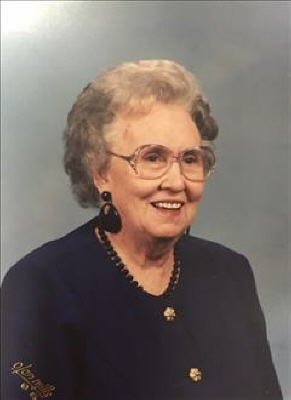 She was affiliated with View Acres Baptist Church in Berryhill, Oklahoma and was a retired secretary for Berryhill Public Schools. To send flowers or a remembrance gift to the family of Trixie Edith Glasco, please visit our Tribute Store. "Email Address" would like to share the life celebration of Trixie Edith Glasco. Click on the "link" to go to share a favorite memory or leave a condolence message for the family.